October 9, 2015. 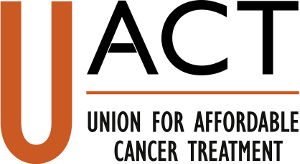 UACT statement on the agreement text following the recent TPP negotiations. July 26, 2015. UACT sent a letter separately to each delegation in the TPP negotiation. Linked here is a copy of the letter as it was sent to the USA delegation. The letter focuses on the effect of some of the proposed TPP language on cancer patients and their families regarding access to the best care available. Manon Ress of UACT attended the negotiations held Tuesday July 28 to Saturday August 2, 2015.